Having gone through the process of the overwhelming desire to include all my favourite colours in one small painting, I have pared back and focused on simplicity and mark making. Regular trips to the sea throughout Winter continue to inspire me. This piece evolved out of the impression of sand dunes and sea grasses that continue to survive despite the sub zero temperatures. Wow, Corrin, this is lovely! 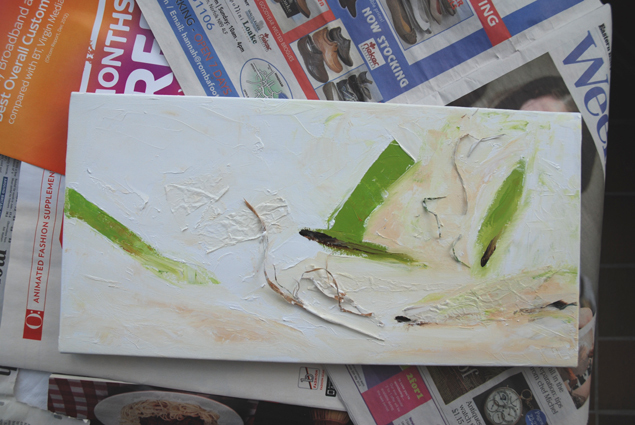 Thank you, the reeds on this painting nearly got nibbled off by my dog, caught him in time though.